The University of South Australia claimed victory at the 2015 National Instruments Autonomous Robotics Competition (NI ARC), defeating 21 university teams from Australia and New Zealand in the live final held at the University of New South Wales. Swinburne University of Technology were close runners up, with New Zealand’s Victoria University of Wellington claiming third place. 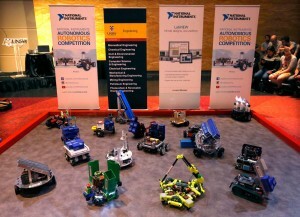 Fully autonomous robots navigated the course in the knock-out grand final, themed ‘Transport and Roll-out’, completing tasks such as navigating to a loading bay, collecting goods, piloting to drop off zones, all while avoiding both static and dynamic obstacles and optimising performance to maximise efficiency. 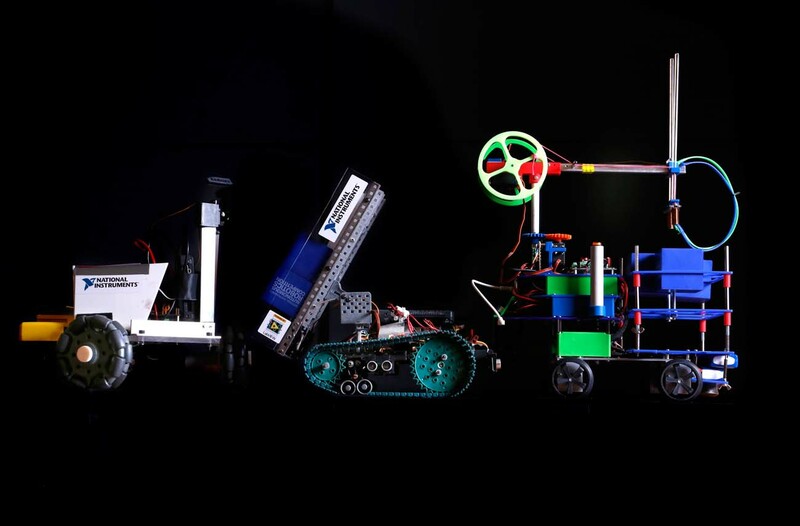 Engineering student teams have been building their robots over the past six months using the NI ARC development kit, which includes NI myRIO hardware and NI LabVIEW system design software, featuring the LabVIEW Robotics Module. 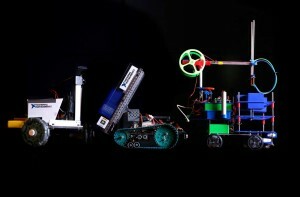 All teams were required to pass five milestone tasks set by National Instruments in order to make it to the live finals. Matej Krajnc, Managing Director for National Instruments Oceania, said the competition not only helped students get hands on experience but also demonstrated the usefulness of robotics to the industry. “Industries from mining, transport and logistics to agriculture and health care are starting to rely heavily on robotics, which emphasises the importance of inspiring a future in STEM related professions; science, technology, engineering and maths. The NI ARC gives students the opportunity to apply those skills to real-life situations, become system designers, and demonstrate the many ways in which robots can drive gains for industry,” said Krajnc. Daniel Griffiths of University of South Australia, said it was a close contest, with past experience helping the team through to the final round. “Slow and steady wins the race. This is our third year in the comp. The first time we got knocked out at the very start, second time we made it to the quarter-finals and this time I thought – semi-finals and we can bow out in peace but the fact we made it this far is beyond amazing. My supervisor was right about slow and steady, when it comes to a competition like this, consistency is the key,” said Griffiths. In addition to the competition, a business luncheon with Transport NSW, Roads and Maritime Services, University of NSW, National Instruments and industry specialists facilitated the discussion around opportunities for collaboration between universities and students, leaders from academia, government and industry. On the agenda were key trends such as the Internet of Things, robotics and 5G research. Winning team, Uni SA’s MERC, was awarded the first place prize of $2,500, Swinburne’s Swinbots received $1,000 in second place, $500 went to VUW’s Ownbot 4.0 in third place and VUW also won the $500 bonus cash prize for the Best Robot Design. All teams that make it to the live final competition also get to keep the development kit provided by National Instruments. Guest judges included the highly respected Professor Tim Hesketh, Conjoint Professor of Systems and Control, University of Technology Sydney (UTS) and Bruce Howard, President, Sydney division of Engineers Australia. National Instruments Technical Marketing Engineer and Technical Lead for the NI ARC, Rejwan Ali was also on the panel, along with three other NI representatives. Of the 27 teams that started the competition in March, 22 successfully completed the five milestones to qualify for the final, which was held in the Scientia Building at the University of NSW on 22 September.